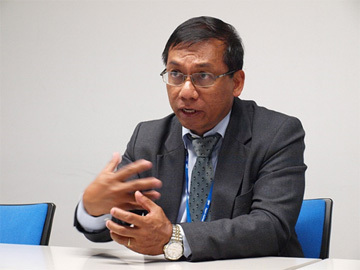 Mr. Robertus Heru Triharjanto, Senior Researcher, Center for Satellite Technology, National Institute of Aeronautics and Space of Indonesia (LAPAN), is a satellite designer and test engineer who has been involved in developing the Indonesian satellite. He talked about the current status of satellite development in Indonesia and ASEAN (Association of Southeast Asian Nations) countries, and he explained his vision for further development through regional cooperation. This interview was conducted at APRSAF-21 in December 2014 in Tokyo. One of APRSAF initiatives, Sentinel Asia, has been shown to be useful with regard to space assets and problem solving within Asia-Pacific countries. Having established a disaster management support system-a collaborative effort between space agencies and disaster management agencies-in its Step 2 phase, Sentinel Asia is now in the Step 3 phase, which aims to enhance prevention and recovery activities for natural disasters. 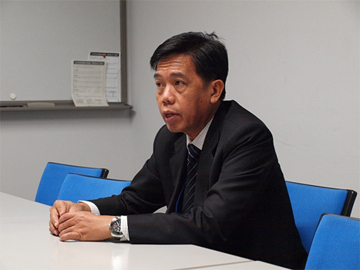 Mr. Agus Hidayat, Director, Cooperation and Public Relation Bureau, the National Institute of Aeronautics and Space (LAPAN), Indonesia, participated in the 21st Session of the Asia-Pacific Regional Space Agency Forum (APRSAF-21) in December 2014 in Tokyo. He has been involved in APRSAF-related activities in several fields for many years, and he is now in charge of space education issues as part of his public relations responsibilities. In addition, he promotes international cooperation. 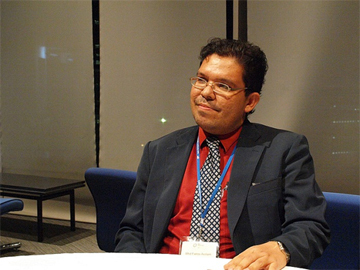 With his many years of experience in microgravity research, Mr. Mhd Fairos Asillam, the head of the Space Science Research Unit, Malaysia Space Center, National Space Agency of Malaysia (ANGKASA), Malaysia, co-chaired the Space Environment Utilization Working Group at APRSAF-21 in December 2014 in Tokyo. He was also a panelist for the Special Session in the Plenary (i.e., “Space Exploration ‘ISS and Beyond—Toward Global Space Exploration’”).